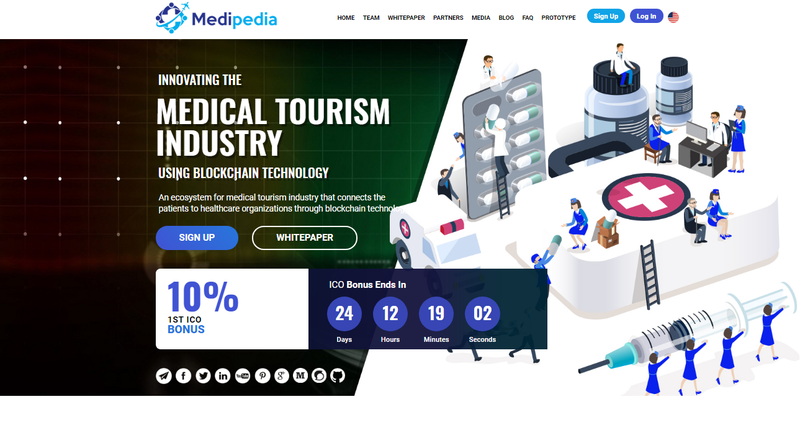 Medipedia is a block-chain project that was started by a team of entrepreneurs based in South Korea. Read here the case study of the Medipedia blockchain project. The project aims to utilize the power of block-chain, especially the decentralization feature, to build a new kind of healthcare ecosystem where all kind of medical information generated from various sources including digital media, press, online blogs and websites can be integrated and managed in a proper way and made accessible to medical consumers who can use this information to research and compare medical services as per their need and budget. How Did We Acquire Users In 3 Months? The aim is to enable medical consumers to access objective information about medical service providers and institutions to be able to make the right choice at the right time. The project had a nice, in-demand concept with a realistic idea and potential to succeed. The information in the white paper and website needed improvement. The design of the website needed a complete makeover along with the development of many new features. The ICO marketing had to be started from scratch. The Medipedia project concept was a result of months of research. 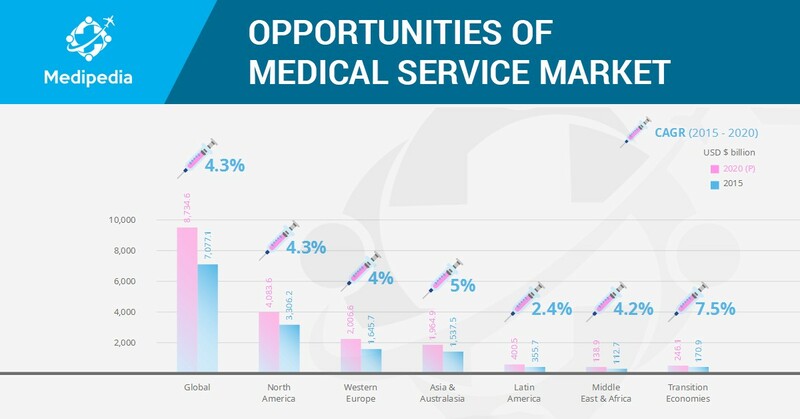 Based on the research of the medical market and service industry in South Korea, a concept was created for the development of a platform where medical consumers, especially medical tourists in South Korea, can connect with reliable medical institutions and service providers. When it came to us, the project lacked in various aspects including website design, development, white paper information and design, back-end and functionality, ICO, among other things. 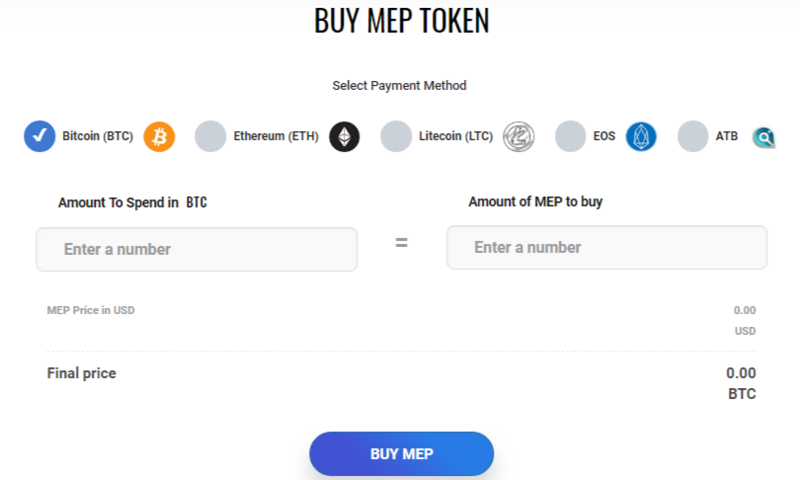 The ICO goal was to raise — through the sale of MEP tokens. The Medipedia project was assigned to a project manager, who, with the help of a team of designers, developers, marketers and content writers, worked on improving things for the project and promoting it to the communities of potential investors, users, and participants, both in online and offline spaces. The initial design of the Medipedia website was confusing and disarranged. The information was not presented in a systematic way such that specific users can easily find out about the project and how it can benefit them. During the process of ICO development, We replaced the Medipedia web design with a new, improved design which is not only attractive but also relevant to the theme of the project and presents information in a systematic and non-confusing manner. Also, the web design is fully responsive and very light and fast in loading. All the important information, along with the project whitepaper, can be found right at the homepage, and users have ample options to contact the Medipedia team via social and other communication channels for any query or question. The new Medipedia website targets a global community of medical consumers and service providers and is available in four language options. That ensures that more potential investors can see the website and the white paper and invest in the project easily. The new website has reportedly resulted in a better user experience and more investment in the project ICO. Added an attractive ICO timer to the homepage of the website. Added the list of top ICO listing and media sites where the Medipedia project has been listed. Created and added new designer social media icons on the site. Added a video of the Medipedia CEO (owner) explaining the project, for more authority and trust. Added statistics diagrams throughout the site, for better understanding. Created and added an attractive and easy to understand roadmap on the homepage. Optimised the website for Accessibility, Interoperability, Reliability, Comparability, and Security with the purpose to create more trust among the users. ICO details, including the coin sale stages (pre-sale & crowdsale), bonus details, use of funds, the hard cap and soft cap details added. Added details of Healthcare providers and Institutions who have partnered with Medipedia. Created a blog section on the website which is regularly updated with the news and tips of the healthcare industry and ICO investments, for the benefit of Medipedia platform users and investors. Created the website content and white paper in 5 different languages – Japanese, Chinese, Korean, English, and Vietnamese – to ensure that the project reaches to maximum users. Marketing is an important part of any project that aims to grow its user-base and reach to more people. Our ICO marketing process is aimed at increasing the reach of a new block-chain project to as many people and communities as required to achieve the funding target. The Medipedia project was still in the development phase when it was outsourced to us. Besides the website development & design, we took the responsibility to market the project to its potential investors in the health and other related industries and help the project achieve the ICO funding target. The task was difficult, given that there was little to no buzz about the project in the industry and a limited reach at the time, however, our efficient team of digital marketers made the task possible and achieved the Pre-ICO hard cap target in time. Here are some of the things we completed during the marketing & promotion of the Medipedia ICO. We listed the Medipedia project on a number of genuine and popular ICO listing platforms to ensure the highest reach for the project. Contacted all the popular paid listing platforms with a request to submit the Medipedia project to their listing, for free or at a low cost. Promoted and optimized the Medipedia ICO to achieve the highest rating on almost every listing platform. Some of the listing platforms, which had initially given a lower rating to the Medipedia ICO, eventually improved the rating, thanks to our consistent and honest marketing efforts. Community Marketing for Medipedia in popular blockchain communities, forums, and portals, such as bitcointalk.org and others. Sent emails to targeted users about every important Medipedia ICO event and stage, such as Pre-ICO, crowdsale, Airdrop, Bounty program, Medipedia news, and company events, Platform launch, Roadmap, and occasional promotional emails. Promoted the Medipedia project and ICO through genuine content, including articles and blogs, on a number of platforms for better reach, more visibility, and trust score. Optimized the Medipedia website according to various SEO factors, as recommended by Google, to make it more user-friendly, easy to navigate and content-rich to ensure better organic rankings in Search Engines. 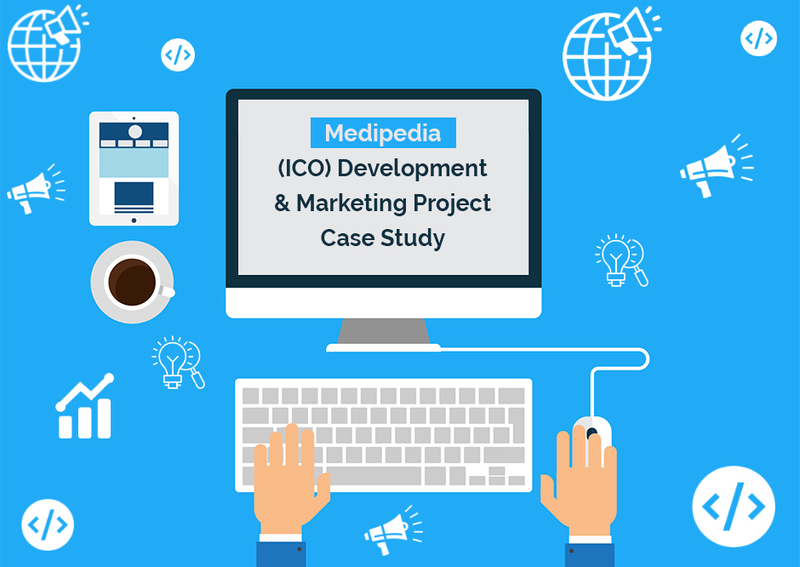 Promoted the project via Visual Content such as Infographics, Images and Powerpoint Presentations (PPT) to enable potential investors and users to easily understand the Medipedia ICO concept. 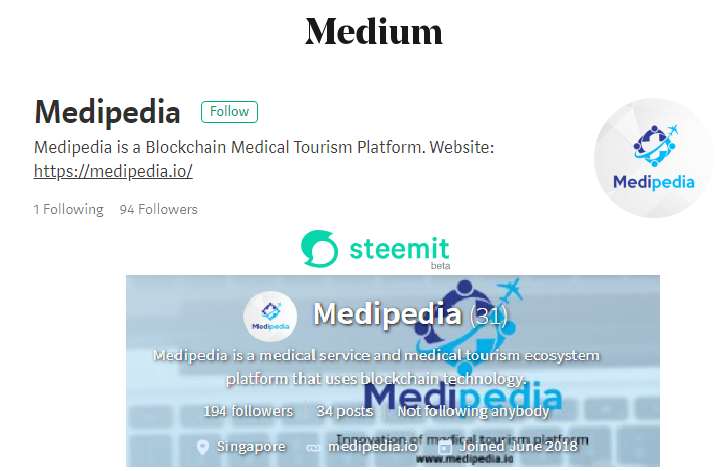 Blog posting on popular content sites like Medium and Steemit to keep users updated with the news and updates of the Medipedia ICO. 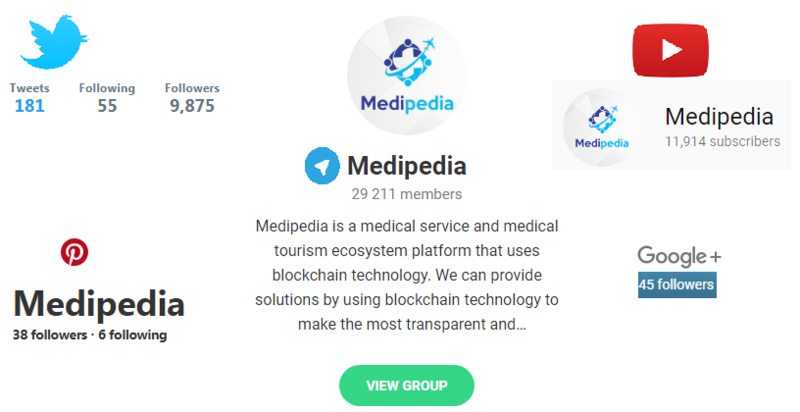 Our blogs posts covered not only updates about Medipedia but also general updates, news, and tips about ICO investments, the blockchain industry and cryptocurrencies to help users improve their industry knowledge and get a better understanding of this field before they invest. Promoted the project through Quora answers by telling interested users about the Medipedia project and meanwhile solving their questions about ICO, blockchain and other related things. Created dedicated pages and profiles for Medipedia on all the leading social networking sites including Facebook, Twitter, Instagram, Tumbler, Reddit, Telegram, Pinterest and others to generate more traffic and buzz in the industry. Promoted the project by regularly creating and publishing new posts on all social sites, pages, ICO groups, and communities to reach more potential users and investors. Created and managed the Medipedia Telegram Channel and Group from scratch. This includes new posts on regular basis, frequent interaction with the community, listening to the users and providing timely resolution to their queries and spreading more information about the project. Created and run successful Airdrop and Bounty programs for Medipedia and managed to create a huge user-base for the project even before the ICO began. Listed the Medipedia Airdrop and Bounty Campaigns on a number of listing sites. The first airdrop successfully completed in just three days, and the second airdrop took only six days to reach the target. Medipedia has conducted three events at yet. They have got huge success in all these programs and events. Achieved target in just 3 days which was set for this event. Result – Hit hard cap in presale duration. Result – Hard cap target is almost completed. Promoted the Medipedia campaign on Youtube and various social sites by creating and sharing interactive videos related to project introduction, marketing, how-to video, tips, investment guidance and more. Took help of many trusted ICO resources and influencers for better promotion of Medipedia on platforms of their expertise. Got Medipedia news and articles published on a number of top media portals through appropriate influencer marketing. Increased the reach, popularity, and influence of the Medipedia project in its target industry with the help of efficient PR Marketing. Created and published Press Releases about Medipedia on top news portals to strengthen public relations and get more investors for the project. Other (1.36%) take a major share. Medipedia is on the path of success with its 1st ICOsale. To conclude, the Medipedia project has been quite successful, both in terms of popularity and ICO fund cap. The project was successful for the Medipedia team as they managed to raise more than the desired funds. It was also quite successful for us (SAG IPL) because our hard work finally paid off and we managed to create a healthy market and user-base for the project. As you can see, the development and marketing of Medipedia has been covered from almost every major and minor aspect of digital marketing as well as web development. The same goes with every other ICO project that is assigned to us (SAG IPL).